Think of your life as a conveyor belt. The metaphor works perfectly in all ways, not least the physical: you only do a circle of a journey most days, and it’s difficult to get off when you want to. 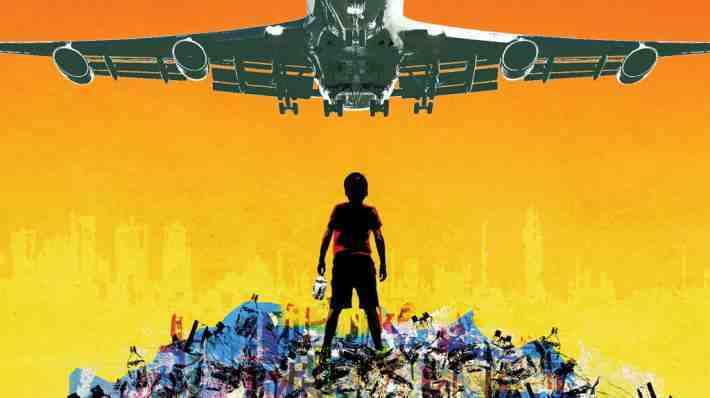 Behind the Beautiful Forevers, David Hare’s new play adapted from Katherine Boo’s book of the same title and directed by Rufus Norris, is set in the slumps of Mumbai, in the shadow of big hotels and the international airport. As with all stories with a strong sense of place, it opens up to universal understanding. I immediately saw its relevance, even though I can’t speak of its authenticity. (Shamefully my experience of Mumbai and its slumps is limited to watching Slumdog Millionaire. Which is no experience at all). On the other hand, the feel of the play authenticates against itself: it’s a real world. And not a happy one. 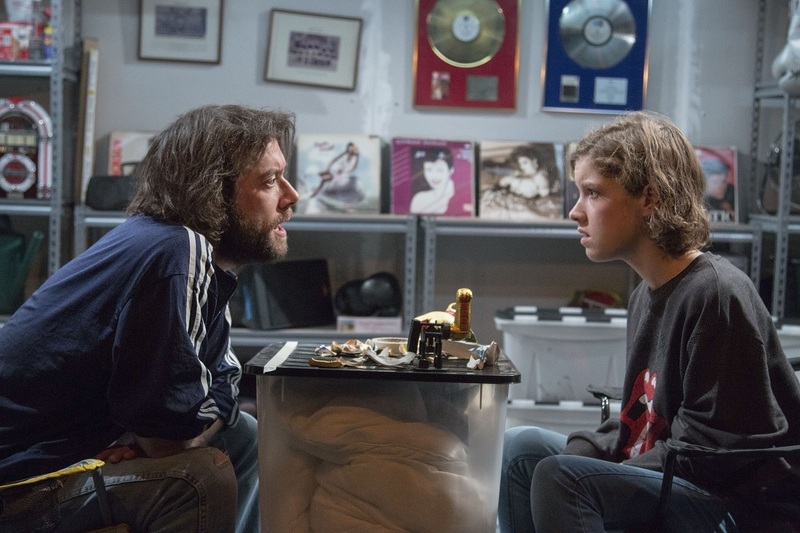 Stuart Slade’s Cans, currently playing at Theatre 503, is both intriguing in its theme and tender in its approach. It focuses on a subject matter that, in its details relates to recent collective preoccupations (I won’t say more for fear of spoilers), but in its core is old and universal and inexhaustible: Do we ever know the people we love? 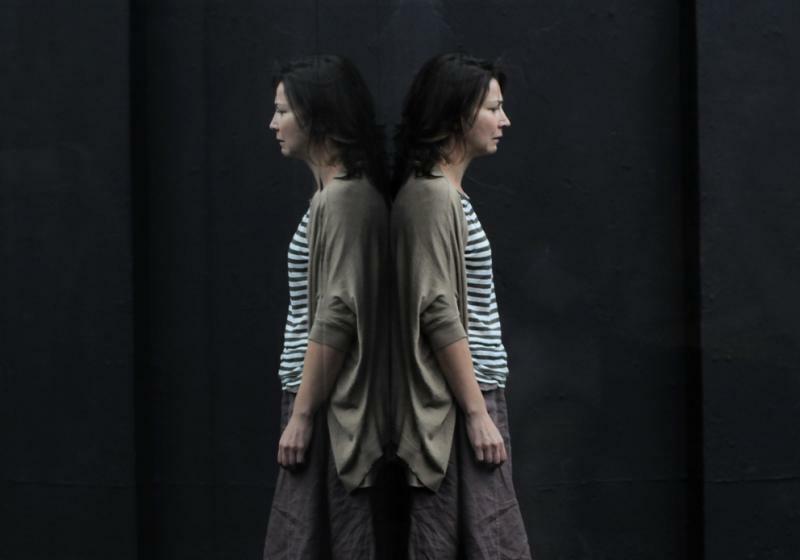 And how do you renegotiate love in the context of grief and the absence of the other person? It’s also framed in the lovely and rich relationship between uncle and niece, and we don’t have enough of those in theatre (Uncle Vanya alone can’t carry it and Claudius will never win Uncle of the Month). Uncles, aunts, nephews and nieces is special fertile ground, free, unpredictable and a little bit naughty, full of trust but devoid of unnecessary tension. With the exception of well known classics, it’s not unusual for me to walk into a play without knowing anything about it. 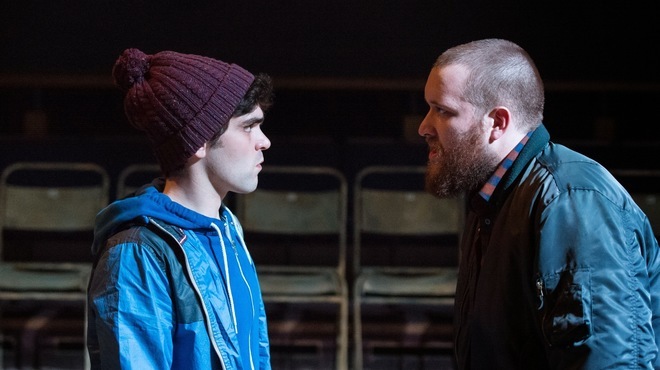 The fact this was the case for Robert Holman’s Jonah and Otto at the Park Theatre didn’t make me think twice but as the play started, what I thought it would happen wasn’t happening. Most plays and productions give you a reliable context within minutes of the performance starting. It might be poetic, abstract, absurd or fiercely naturalistic, but it’s solid, something to depend on. Not so much with Jonah and Otto. Two men meet. That much is unquestionable. They talk a lot. They talk specifically. They talk plainly and with facts. But they don’t justify anything and they don’t hide anything. There is no context to hold them together, therefore every word uttered, exchanged and understood is an act of rebellion. They talk as if several layers of skin are missing, and suddenly this feels as courageous as stepping in front of a tank. Because no one ever does it. It’s weird and wonderful and upsetting and affecting. It’s judgement day as if judgement day was ultimately tender and illuminating and the birth of something, not the end of the world. 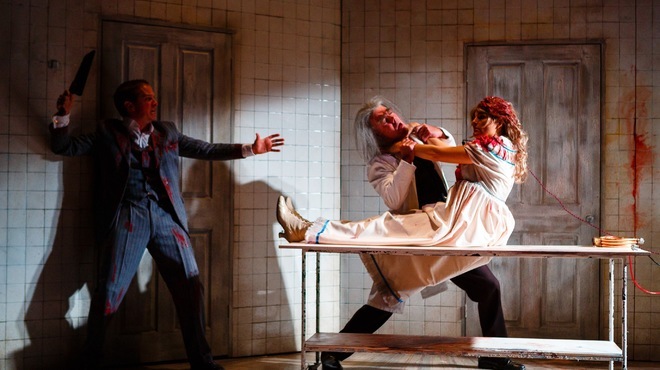 Saying Carl Grose’s Grand Guignol, currently playing at the Southwark Playhouse, is perfect for Halloween is a huge understatement, as well as a disservice. Bloody, gory, funny and twisted, it has you snort-laughing through your nose and then checking if any blood came out. It has the innocent unpretentious naffness of 19th century travelling shows, yet it starts getting to you, because “actors, playwrights, lunatics” are all “imminently fascinating”, especially when there is no line between them, blurred or otherwise. 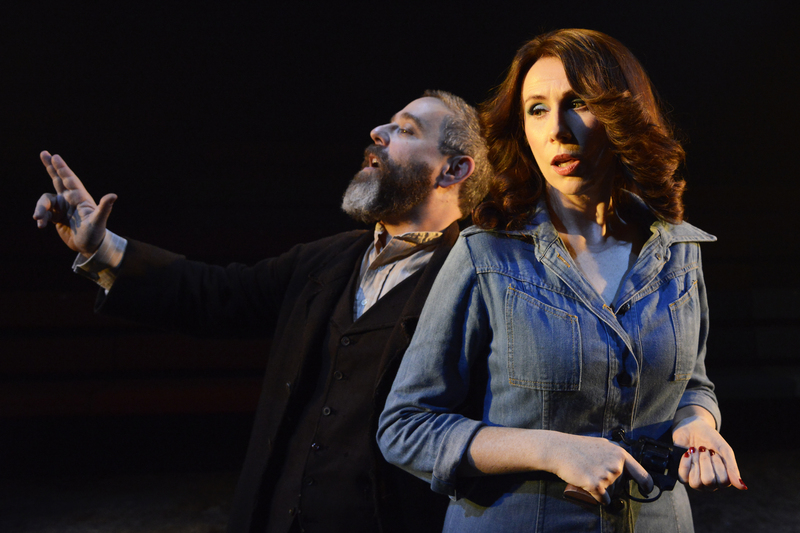 Something happens twenty minutes into John Ford’s Tis Pity She’s a Whore, as performed at the Sam Wanamaker playhouse. 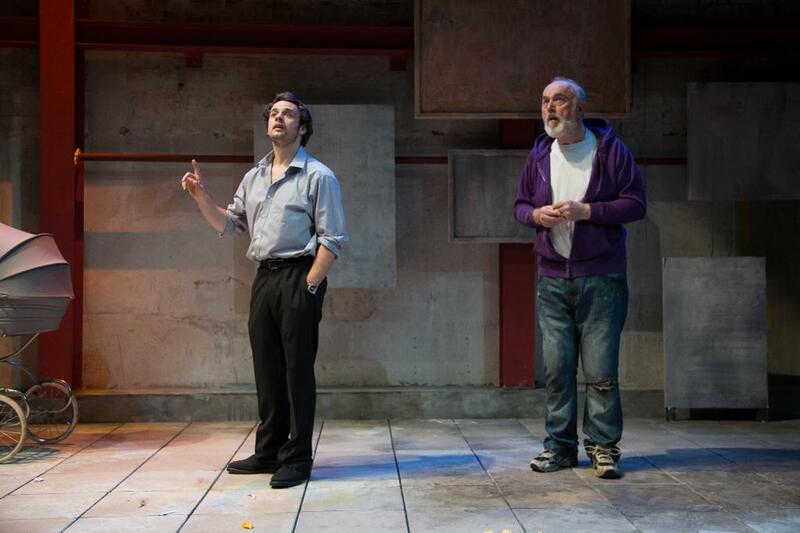 Up until that point, I knew I was watching a hugely engaging production of a very fine play. Fluid, clear, intelligent. But at the beginning of the second act, in the scene where Giovanni and Annabella are in bed together, having made love for the first time, things are revealed for what they are. It’s not that the production changes gear, it is the audience catching up. The intense intimacy of falling in love ripples from stage to audience, tender, delicate, exposed to light – like camera film. Should we be here? Who is watching whom? And who is guilty of forbidden acts? And then you get it. This production of Tis Pity She’s a Whore is going to be thrillingly hot. Not only in a high-minded way, or even in a carnal way – although both these are true – but forbidden, dangerous. The candlelight is fire and danger as much as it is shadows and trembling beauty. 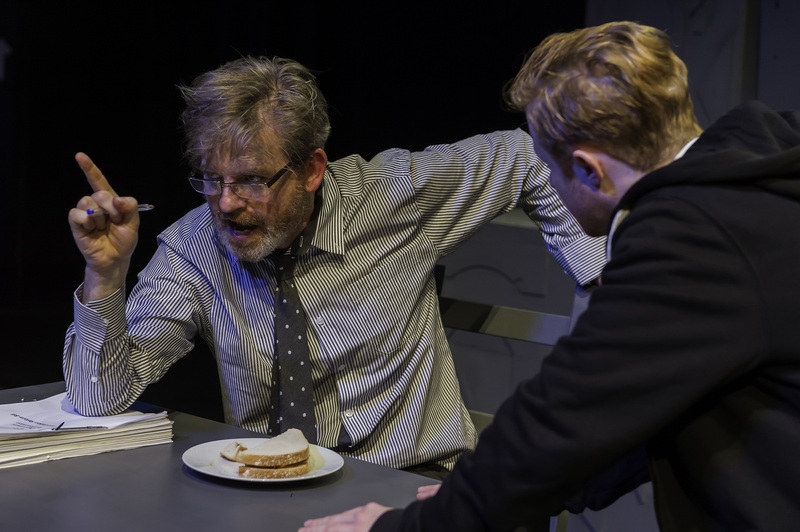 This is the achievement of Michael Longhurst’s production: without rewriting the play, he welds together themes of forbidden love with this cradle of a space, the breathing-fire quality of the text with feverish, sharp action. The result brims with exquisite life (and therefore death). Plays talk to each other, I know they do. 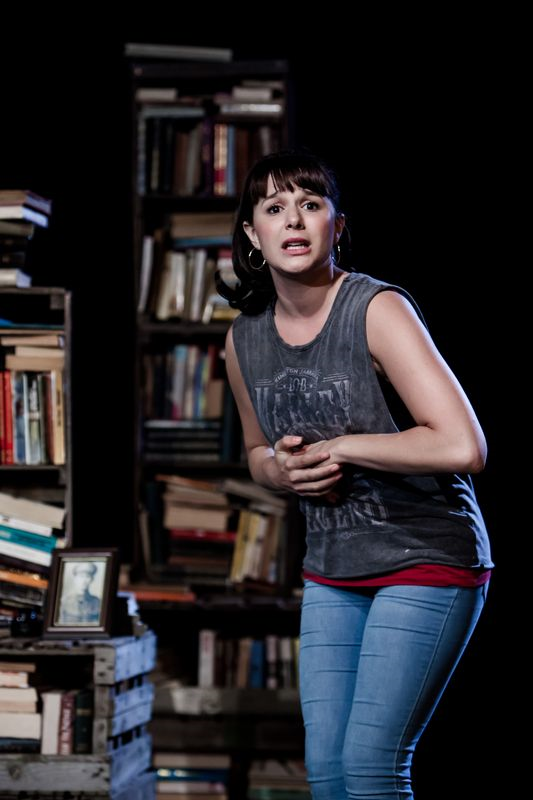 One evening I saw James Graham’s The Angry Brigade, and the next I saw Clara Brennan’s Spine at the Soho theatre. Spine is, in essence, the angry brigade, if angry is furiously tender and livid and paralysed by answers and galvanised by questions and innocent, oh so innocent you can clearly see till the end of the world.